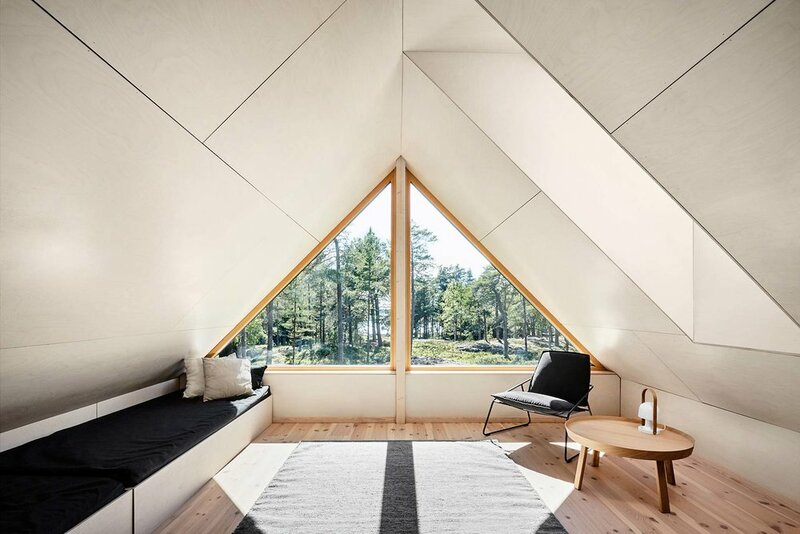 Combining the best of Japanese and Scandinavian design, the Stockholm Summer House is a minimalist coastal retreat. The timber-clad dwelling is located on an island in Sweden's largest archipelago. It's comprised of an existing cottage and a new construction. Both structures are connected to one another by a shared roof, creating a covered terrace below. Surrounded by both the forest and the sea, the home is a direct reflection of the natural setting. Windows, patios, and entire rooms were intentionally placed to capture the best scenes of the rustic pines in the rear and the shoreline ahead. Lined with panels of light plywood, its interior showcases the dual aesthetics, emphasizing simplicity, natural materials, and the surrounding nature.